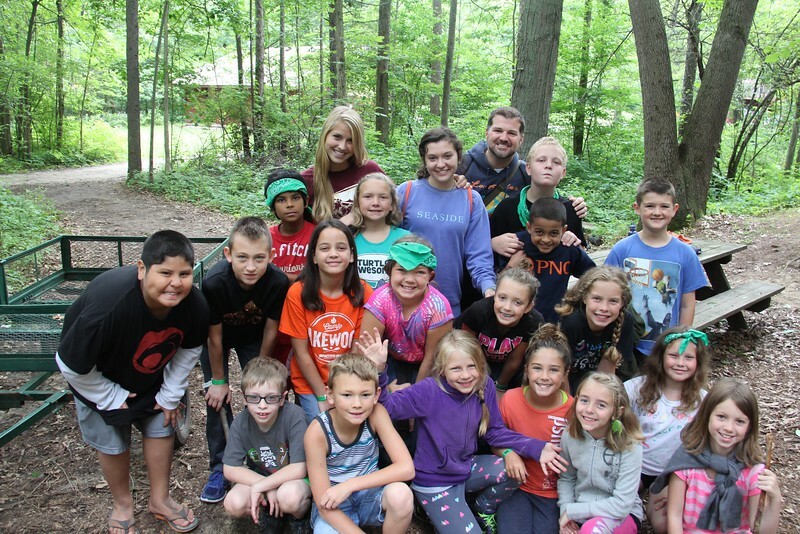 Here is the recap video of all the awesome things that your campers got to do this week! See you next year! ###Lunch ! (http://impact2818.smugmug.com/photos/i-f5RhL3Z/0/L/i-f5RhL3Z-L.jpg) For their last camp meal, campers got to enjoy hot dogs, baked beans, potato chips, carrots, celery, grapes, and oranges. The meal was then concluded with a tasty s'more! Today's lesson focuses on the concept of Godly me, by using the story of David dancing at the return of the ark of the covenant to Jerusalem. Follow along by reading II Samuel 6:1-19. For breakfast this morning, campers got to chow down on waffles, sausage patties, and hash brown triangles. Now its off to discovery time to learn about the concept of Godly me! 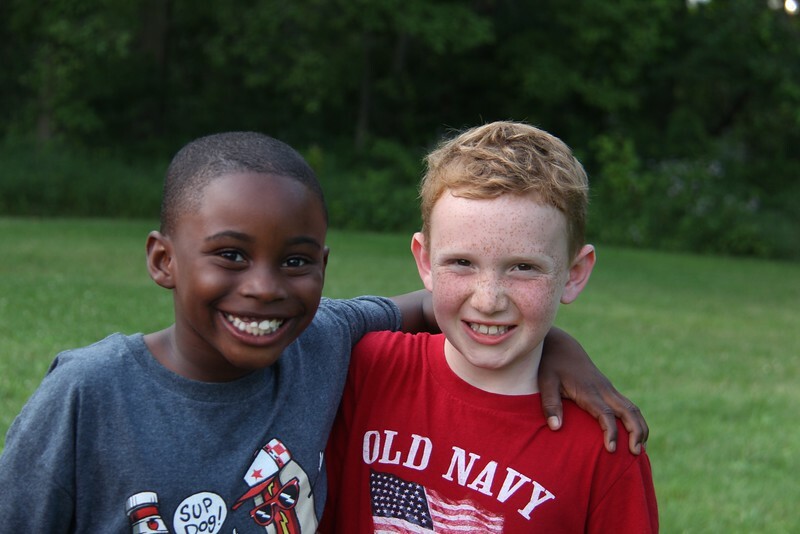 Tonight at Vesper Hill was the campers' last night, and it was just as amazing as the previous four! The lesson tonight mainly focused on all that we have learned these past four days, and ultimately how each camper can use what they've learned here, and go on to live a life with Christ! Despite the fact that there will certainly be trials in our lives, if we simply continue to follow God, and trust in him, anything is possible! The songs featured at tonight's worship included "Set a Fire", "Break Every Chain", and "Oceans". 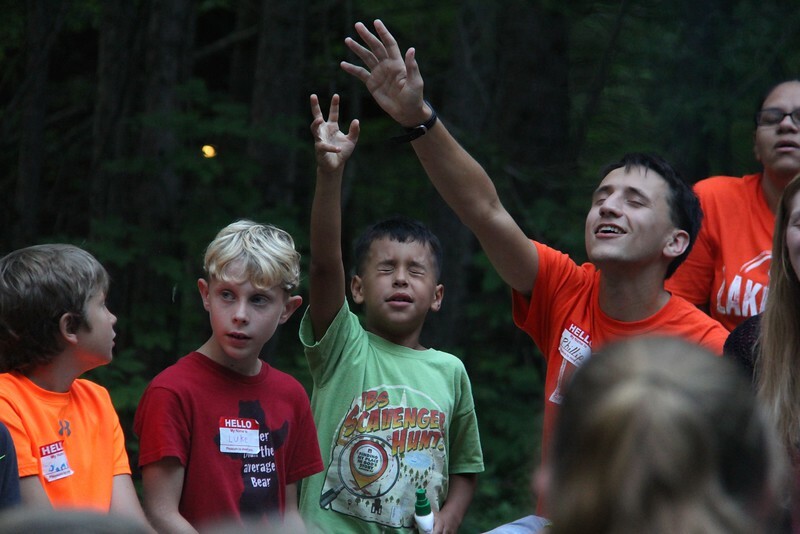 When they were asked if worship at Vesper Hill was their favorite part of camp, nearly every camper raised their hand! After dinner, campers got to partake in one of camp's best evening extravaganzas! Organized Mass Chaos is a game that every camper gets to enjoy! Playing cards give various instructions, and the only rule is that the word "no" isn't allowed! For more photos, click here! Tonight, campers got to enjoy their last dinner at Camp! What better entree for a final dinner than pizza?! Side items included breadsticks, broccoli, and chocolate chip cookies for dessert! For lunch today, campers got to enjoy turkey wraps, carrots, potato chips, and applesauce! It was quite the meal! Earlier this morning, during their scavenger hunt, the turtle cabins combined forces to find the multimedia storyteller and get their picture taken! Find more pictures here! Today's lesson focused on the concept of a Godly heart, and it included the story of David sparing Saul's life. Follow along by reading 1 Samuel 24. For breakfast this morning, campers got to feast on french toast sticks, sausage links, and crispy potatoes! Now it's off to discovery time to learn about the concept of a Godly heart! Tonight at Vesper Hill, campers continued to learn about Godly victory by hearing stories that touched on the topic of always trusting in God even amidst adversity. No matter how dire the situation may appear, it is always important to trust in him! The scripture used tonight was Romans 5:6, in which Paul writes "You see, at just the right time, when we were still powerless, Christ died for the ungodly." When we face the Goliath's in our life like David did, it is always important to remember that God is always on our side! The songs featured at worship tonight included "Set a Fire", and "Holy Spirit". 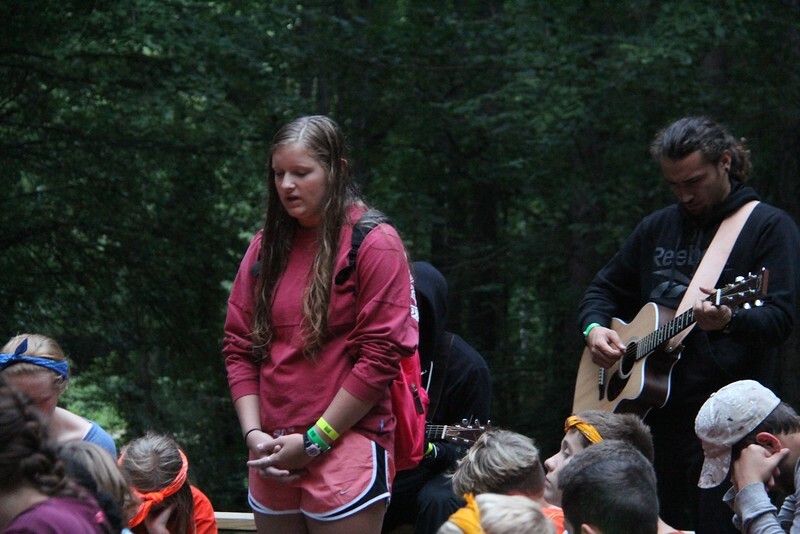 At the conclusion of worship, campers were given the chance to commit to starting their journey alongside Jesus Christ. Overall, tonight was absolutely amazing! After dinner, cabins got to partake in a team challenge course that went all over Camp! For more photos, click here! For dinner tonight, camper got a homestyle meal of beef & noodles, mashed potatoes, green beans, and warm brownies for dessert! For lunch today, campers enjoyed chicken tenders, potato wedges, corn, and peaches. Now it's off to horizontal hour before another awesome afternoon! Take a ride out on Lake of the Woods, and see these campers enjoying their time kayaking! Today the campers learned about Godly victory by hearing the story of David defeating Goliath. Follow along by reading 1 Samuel 17. For breakfast this morning, campers got to enjoy biscuits & gravy, with hash brown triangles on the side. This filling meal will certainly get all of them through their morning activities! Tonight at Vesper Hill, campers continued to learn about Godly service by hearing the stories of two counselors who went on mission trips. One of the counselors took part in a habitat for humanity project in El Salvador, and the other counselor went to Haiti to volunteer at orphanages. Both taught that serving others in incredibly important, but it's crucial to remember that you don't have to travel the globe in order to do so. Simply helping your neighbor is a form of service that God truly appreciates. The songs featured at worship tonight included, "Set a Fire", "He Loves Us", "Holy Spirit", and "All Who are Thirsty". The energy continues to build, and it is spectacular to witness! Check out the footage from one of tonight's "Messy Games"! 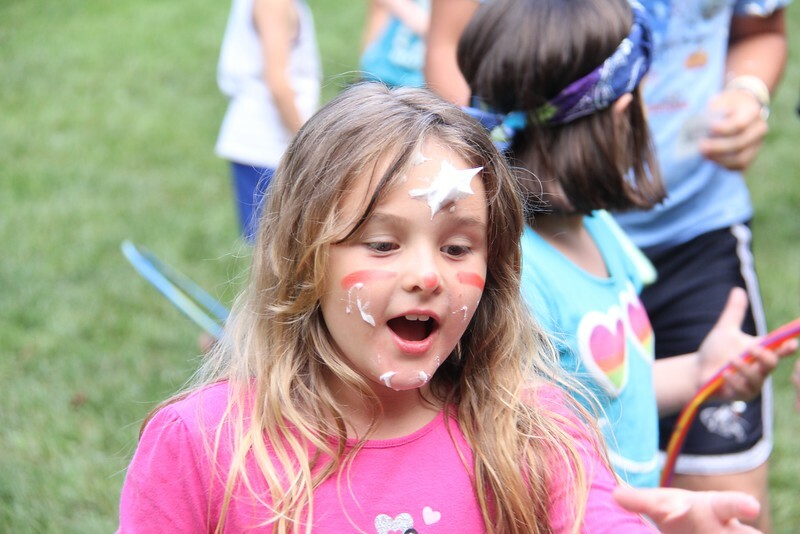 Campers had to find the marbles in the shaving cream and run as fast as they could back to their cabin mates! ###Dinner For dinner tonight, campers ate their fill of chicken sandwiches, macaroni & cheese, and broccoli. Chocolate chip cookies served as the perfect dessert! Look at these campers having a blast at the beach! For more photos of today's activities, click here! Campers got a giant helping of Tex-Mex food at lunch today! The menu included soft shell beef tacos, nachos, Spanish Rice, and churros for dessert! Today, the campers learned about Godly service by hearing the story of how David played the harp to help a troubled Saul. Follow along by reading 1 Samuel 16:14-23. For breakfast this morning, campers got to chow down on pancakes, cheesy hash browns, and bacon! Now it's off to discovery time so that they can learn about Godly service! For dinner tonight, campers got to enjoy a taste of Italy in the form of lasagna rollups, breadsticks, green beans, and chocolate cake! 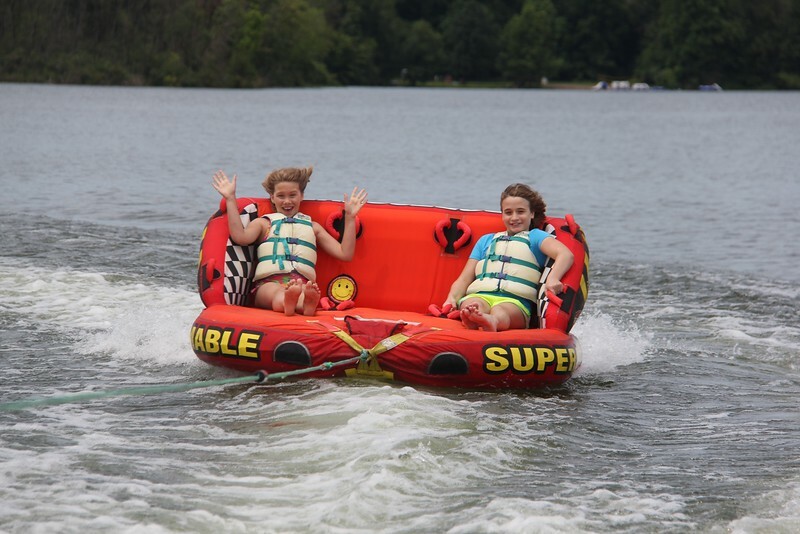 Check out these two brave campers who enjoyed tubing around our Lake! For more photos of this week's activities, click here! For lunch today, campers got to enjoy corn dogs, tater tots, California blend vegetables, and pears! The weather appears to be clearing up, so this afternoon will be jam packed with fun activities! Earlier this morning, campers kept their spirits high by singing camp songs, including the classic "Singin' in the Rain"! ###Scripture Focus Despite the fact that the thunder is keeping us indoors this morning, campers are still able to learn about Godly plans! Follow along by reading [1 Samuel 16:1-13](https://www.bible.com/bible/111/1sa.16.1-13.niv). Tonight at Vesper Hill, campers got a taste of what this week's worship will entail. 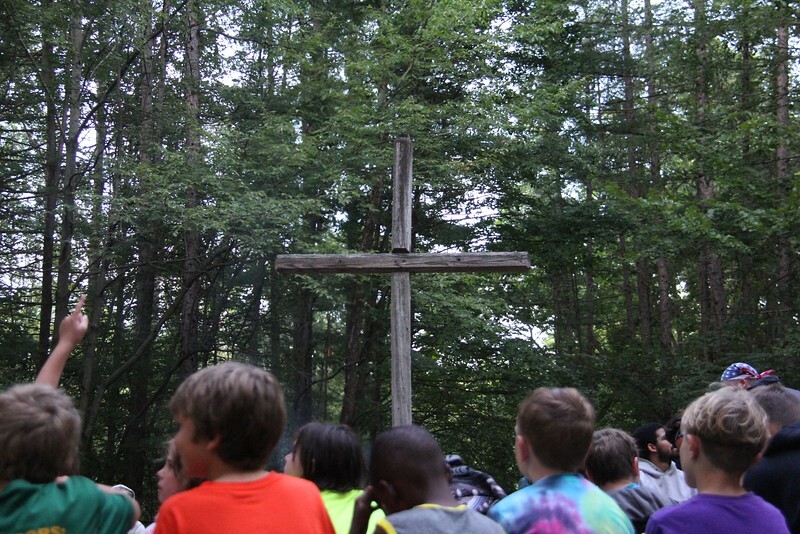 After singing the songs "How He Loves Us", and "Set a Fire", campers learned about how for many years, people have truly been able to grow closer to Jesus by taking part in worship here. The energy was absolutely breathtaking, and it is quite evident that these campers are going to learn a whole lot about God's love this week! 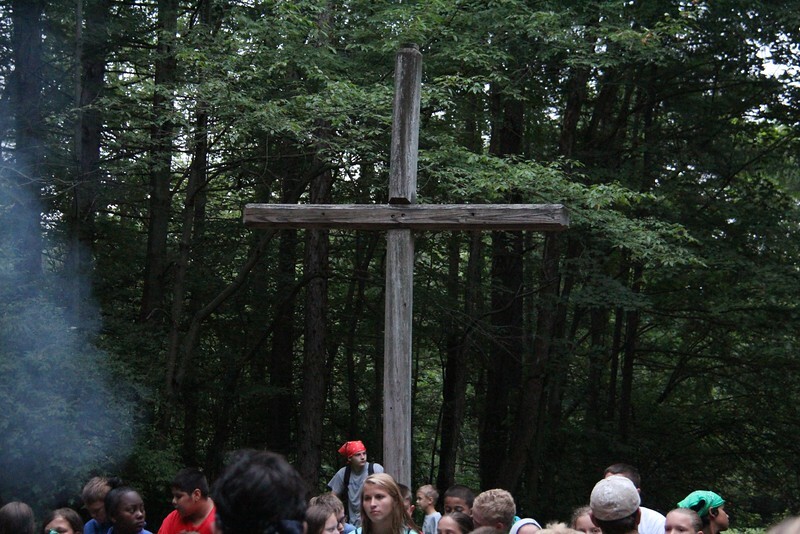 After Director Matt prayed for all of us, campers were dismissed to their cabins. It's going to be one amazing week! For tonight's dinner, campers got to feast on cheeseburgers, french fries, corn, and chocolate pudding! They will certainly need all the energy they can get for tonight's big group games, and swim tests!